Conservation is at the heart of everything we do at Eggucation. 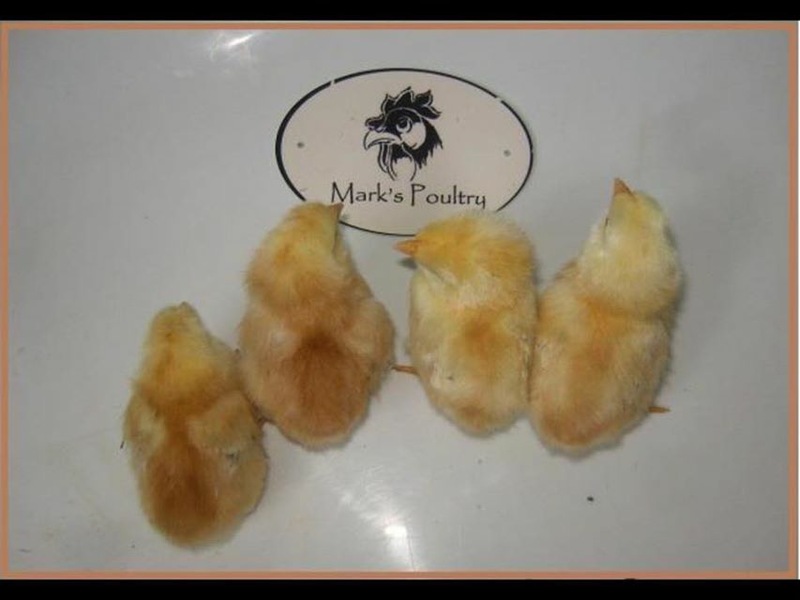 We pride ourselves on being the ETHICAL schools hatching service. 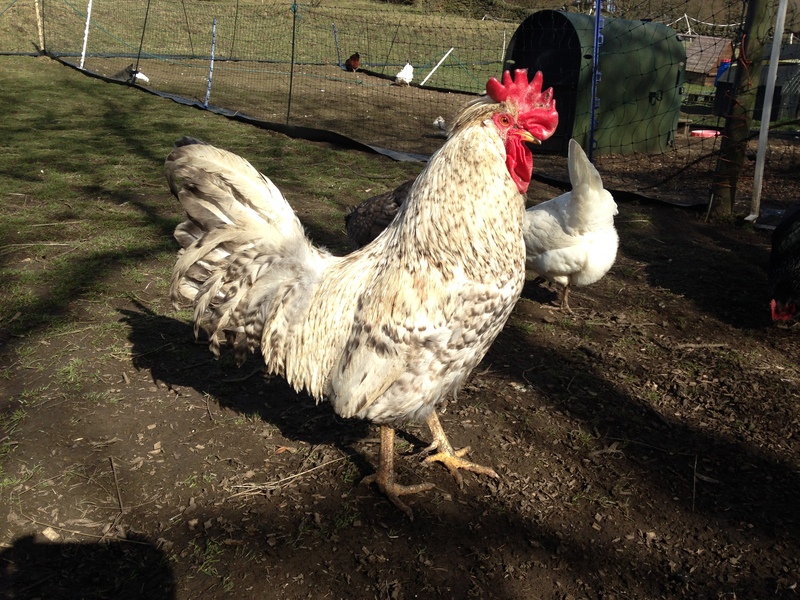 This is because all the eggs that go into our partner schools are from our own Rare Breeds. 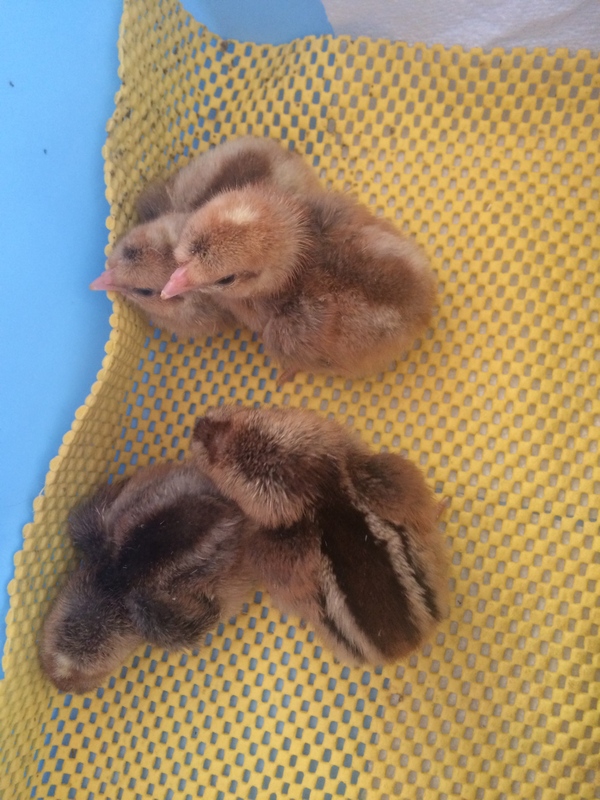 They are eggs that we would be hatching ourselves and the chicks are a vital part of our breeding programmes and conservation work. 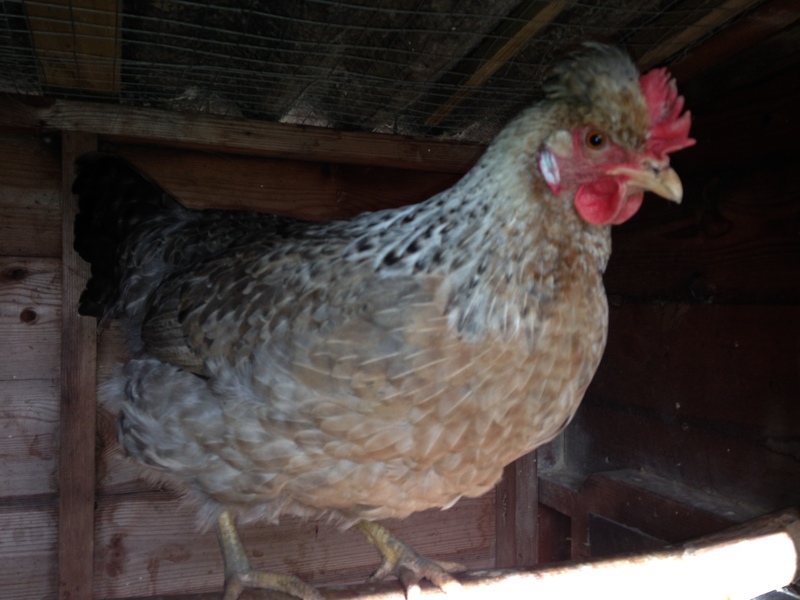 All our birds are on the Rare Breed Survival Trust watchlist – many of them critical. 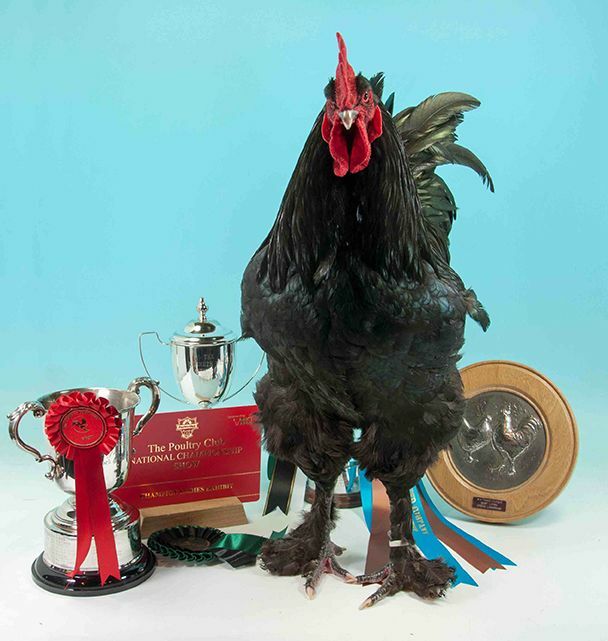 We have an active role in the conservation of rare poultry in the UK, as we work with the Rare Breed Survival Trust, taking our rare poultry to shows around the country to help them promote rare breeds and raise money for their work. We have signed the RBST pledge which ensures the welfare and quality of our birds, and that we are preserving them from extinction. 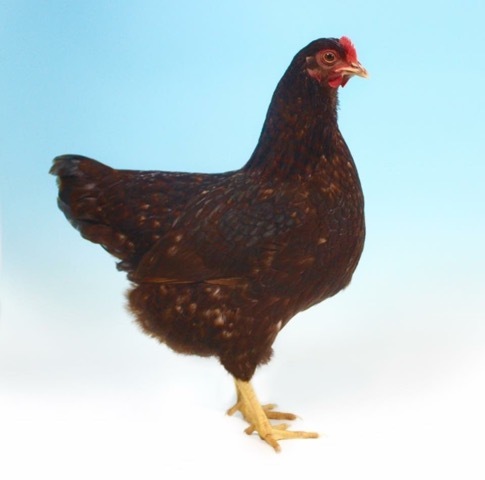 We promote the breeds by showing our birds, and taking an active role in getting rare poultry represented in famous farms such as Cotswold farm park. We keep the super huge Large Black Croad Langshan, and the very rare Blue Bantam Croad Langshan. The Croad Langshan is an ancient breed originating from the Langshan region in Northern China (where we believe they still exist today). They were imported into Britain by Major F.T. Croad in 1872. 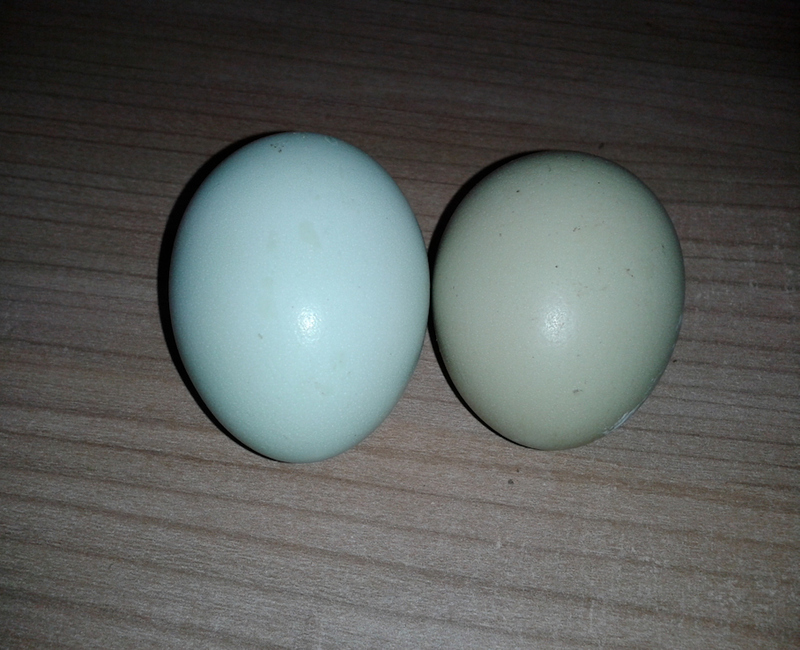 The blacks are huge docile birds, laying a sought after pink/plum egg. Our Croadies are very popular big chicks in schools and we are very proud to have arguably some of the best birds in the UK. Graham was Best Croad Langshan in 2015, also winning the coveted title of Champion Ladies Exhibit of all 6500 birds in the show. We were proud to get Reserve Best in Show at Penistone Show in September with Grahams daughter. 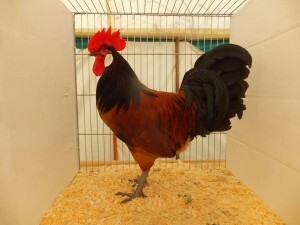 His son Katzuma, has made it a double for us in 2016 by winning the title of Best Croad AGAIN, and also winning Best Feather Legged bird in the show. An amazing achievement for us here at Eggucation. The Welbar were bred in the 1940‘s, along the lines of the Cream Legbar, using the work of Professor Punnet at Cambridge. They can be sexed at day old using the colour of the down – males pale and females with a dark ‘chipmunk’ stripe, as in the image below. They are on the Rare Breed Survival Trust list of endangered British breeds, so we are working with other breeders to ensure the survival of the breed. 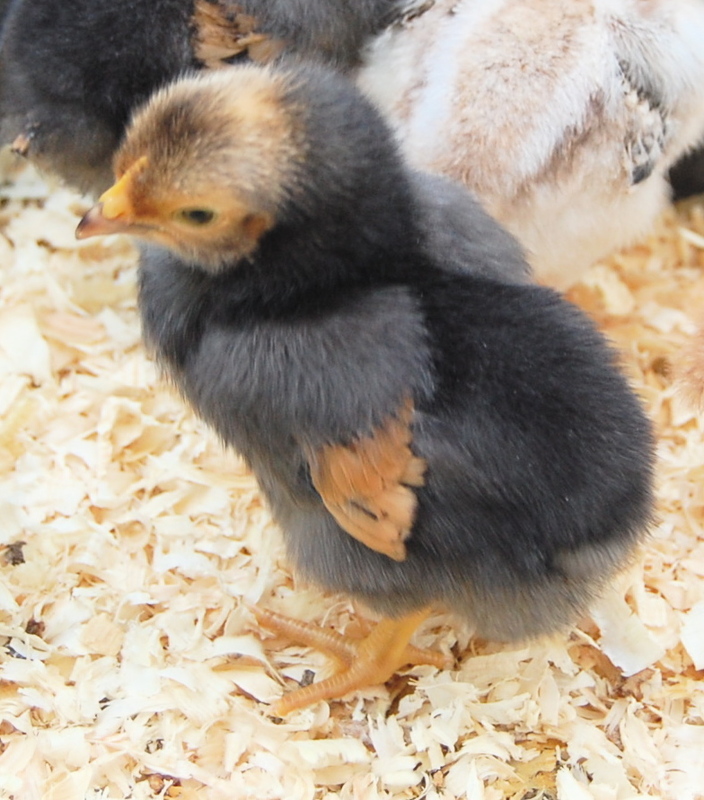 This is very rare in the bantam form that we keep – bred in the 1940’s and 1950’s to be an Autosexing version of the Rhode Island Red, the most commercially important chicken at that time. They have the egg laying attributes of the RIR but again can be sexed as day olds. We find them laid back birds, who lay well and a good sized egg for their size. 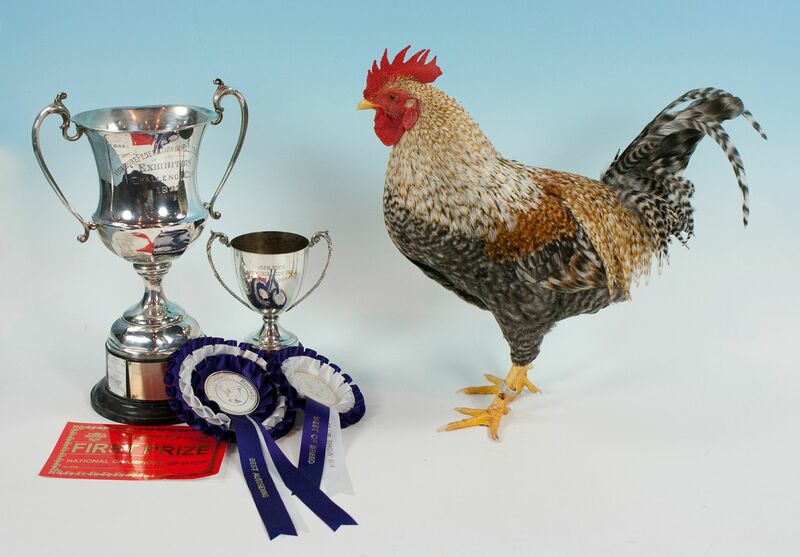 Another breed where our birds are National Poultry Show award winning! 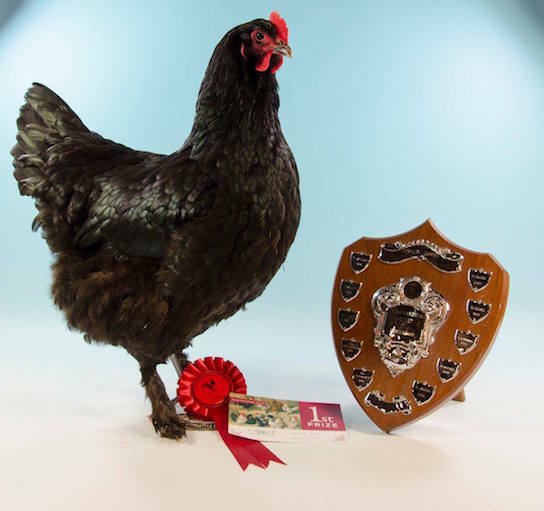 At the 2015 show we won Best Rhodebar with a lovely pullet. 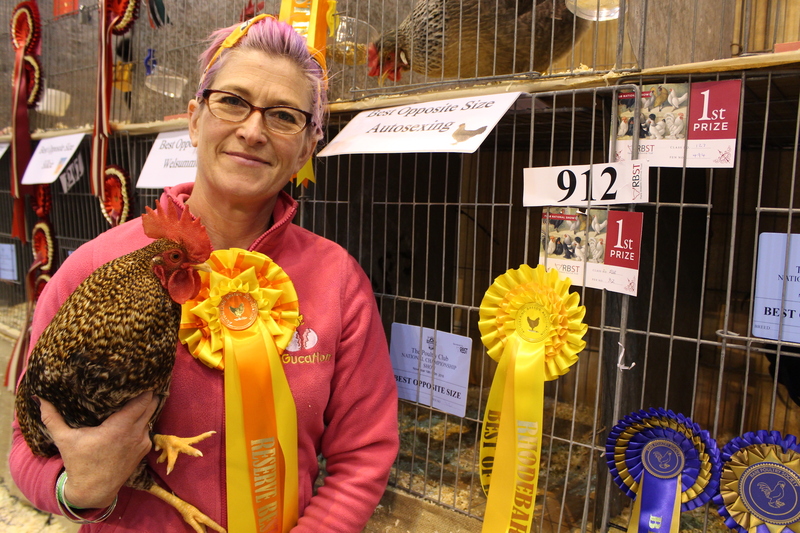 In 2016 we were delighted to win Reserve Show Champion Autosexing with Reggie the cockerel. 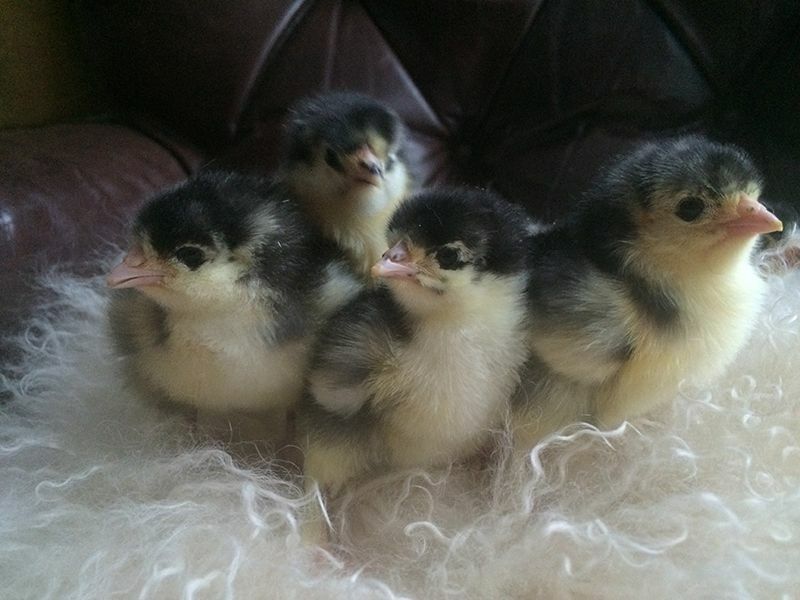 Look out for these cute chicks in your school in 2017! 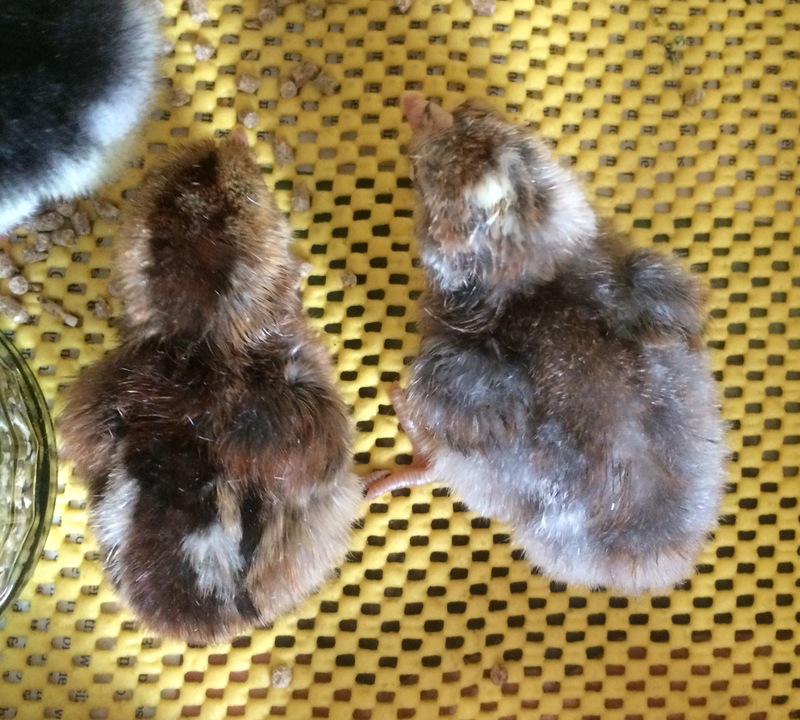 Cream Legbar – They lay blue eggs! 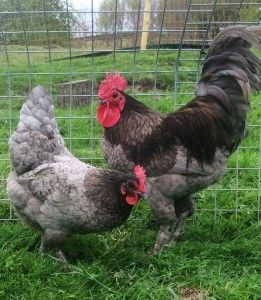 Created in the 1940s at Cambridge by the famous Pease and Punnett, these Autosexing blue egg laying birds nearly died out in the 1970’s. Happily they are now a popular bird for large flocks and back garden egg colour! However, birds carrying the correct genes have become harder to find – many of the birds found in the UK are not pure bred examples. 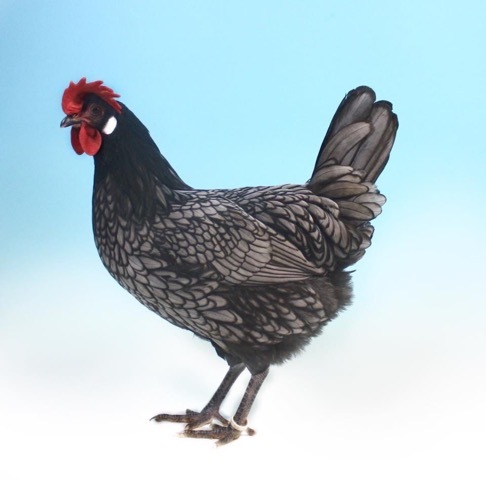 We have worked hard alongside the UK’s top breeders to ensure our birds are not only stunning examples, and have won classes, but lay the lovely blue eggs too! 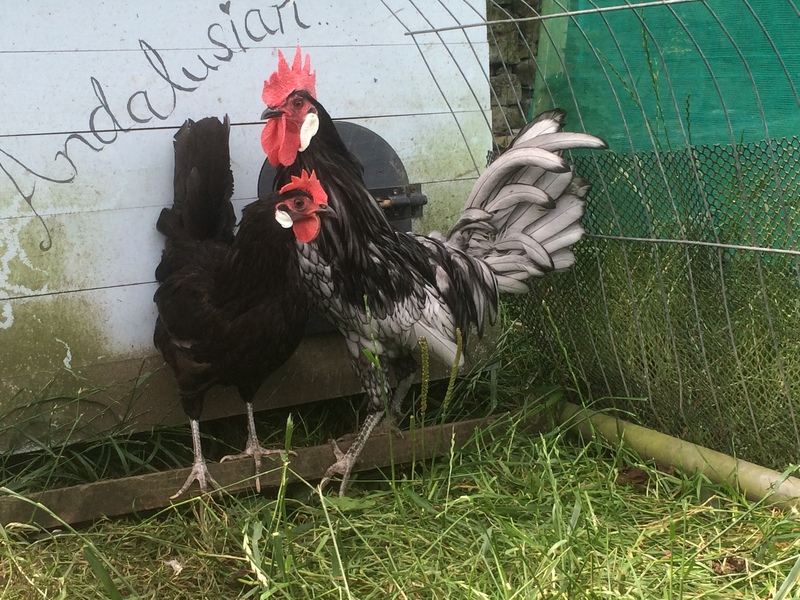 These stunningly beautiful birds are a on the RBST critical list and Eggucation is excited to be involved in the National pilot project to conserve this beautiful breed. The name may not sound British, but these lovely birds have been present on our Isles since the mid 1800’s, and have changed so much they are now distinct from Spanish Andalusians. 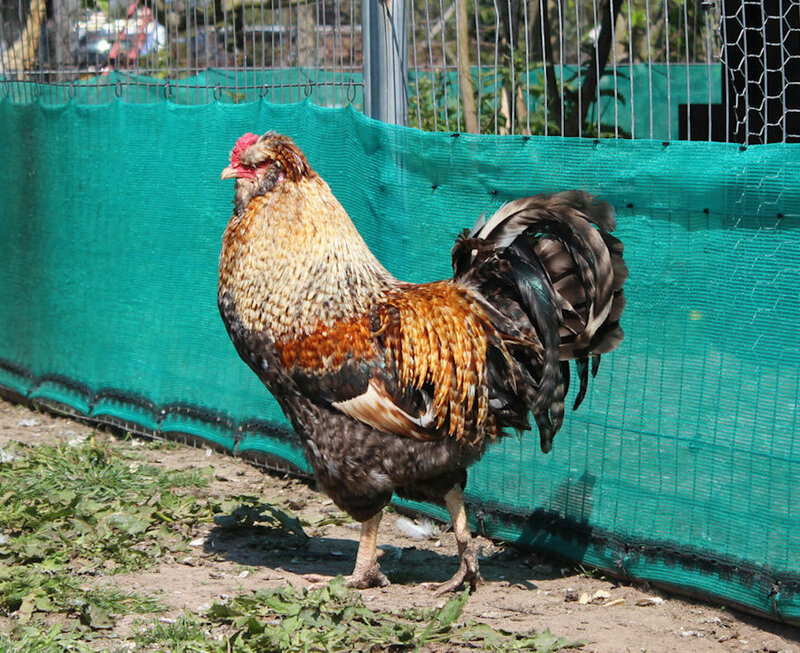 Statistics show there are fewer than 200 Large Fowl birds left in the UK, and more worryingly fewer than 20 bantams! 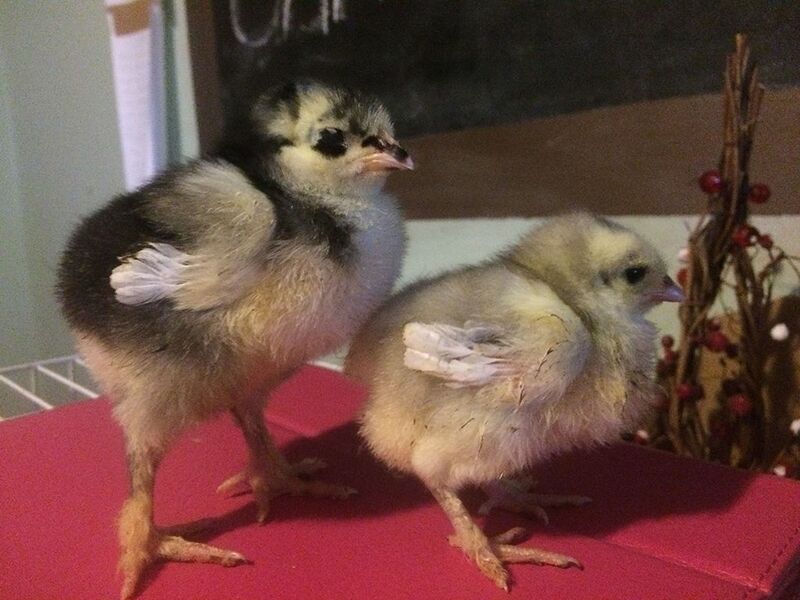 Every chick counts! 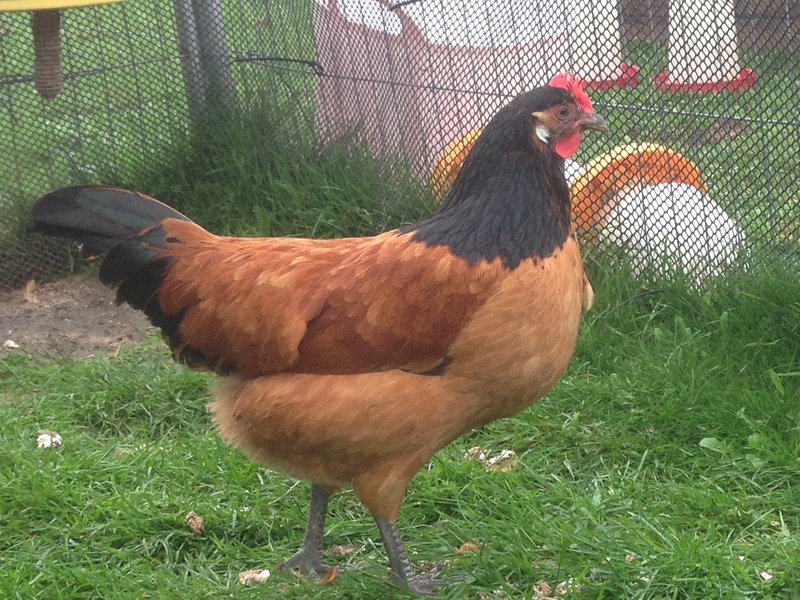 We are lucky enough have both Large and the super rare Bantam here at HQ. They are very hard to breed to the required standard of beautiful blue colour and just the right level of black ‘lacing’ on the rest of the feather – there are 6 genes that control this lacing alone! 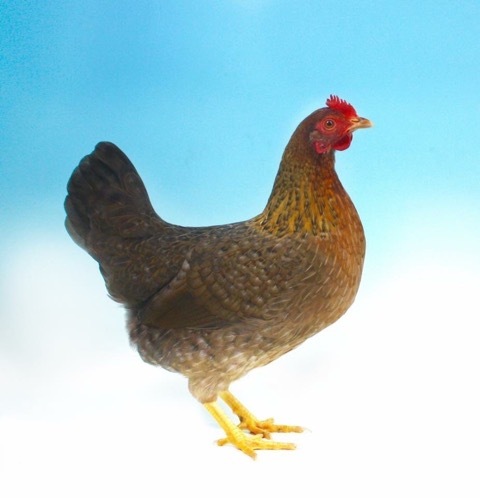 One of our favourites – Classed as a Rare Breed, but thankfully becoming more common, we at Eggucation are proud of our prize winning stock! 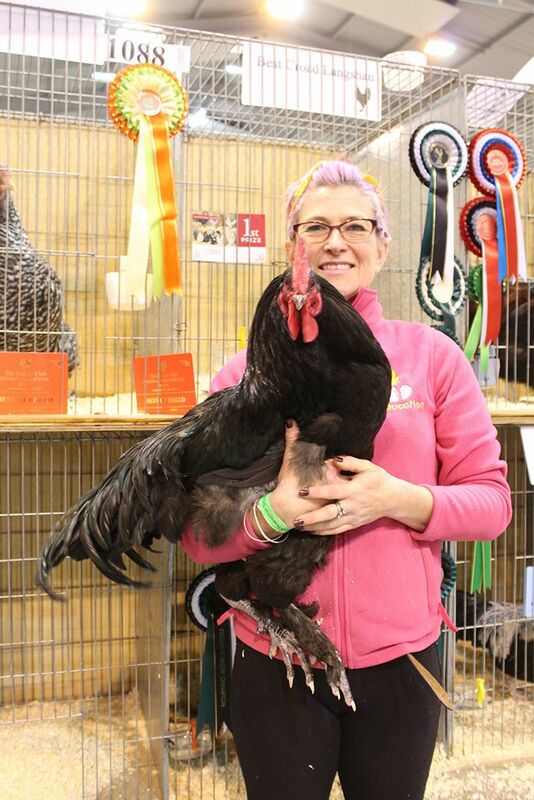 One of our males was Best Vorwerk at the 2013 National Poultry Championships! 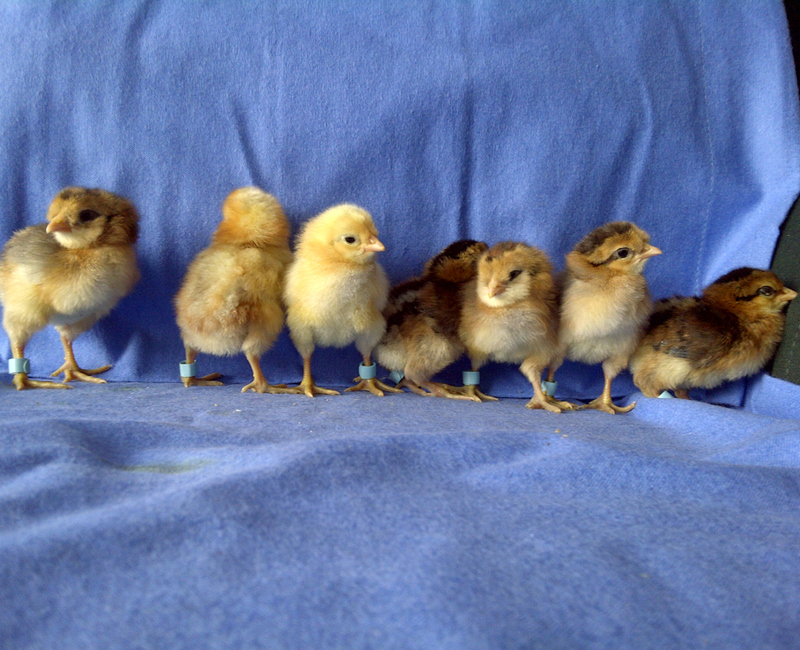 Originating in Germany, they are excellent free rangers and the chicks have real attitude! 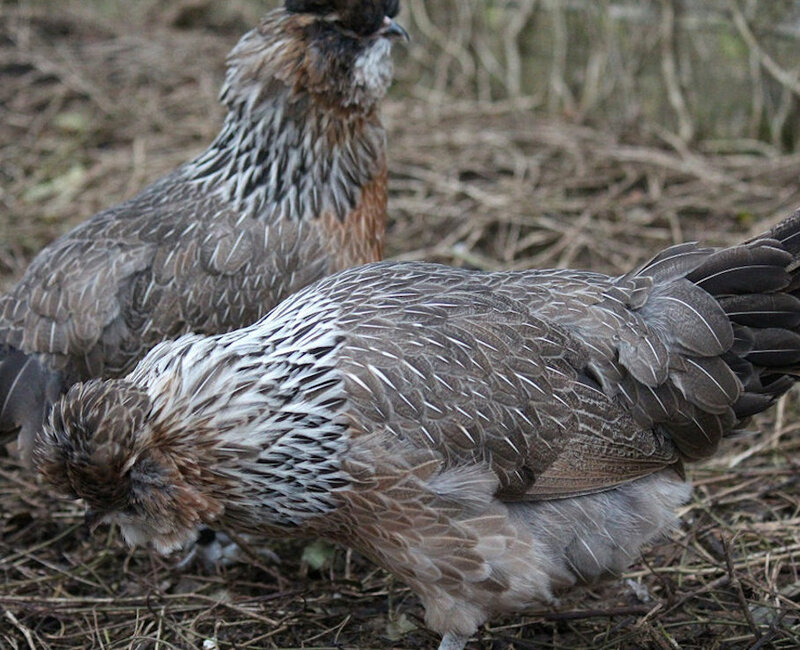 On the RBST Watchlist, these quirky birds have the unusual particularity of laying blue eggs. Their story is somewhat disputed, but it is generally agreed that a Chilean nitrate ship floundered off the coast of Scotland in the 1930’s and the descendants of bearded, muffed, tailed Araucanas that were aboard were scattered among the Inner Hebrides. There has been a huge amount of cross breeding with more modern varieties in the twentieth century. George Malcom of East Lothian, Scotland created the modern standard that now exists, which maintains the unique blue egg along with the beard, muff and crest. Araucanas come in many colours. Lavender is ever popular, but we have decided to concentrate our efforts on the rarer colours and are even working to re-create the extinct Spangled!